Acts 26:1-2 (NKJV): Then Agrippa said to Paul, “You are permitted to speak for yourself.” So Paul stretched out his hand and answered for himself: “I think myself happy, King Agrippa, because today I shall answer for myself before you concerning all the things of which I am accused by the Jews..."
Happiness isn’t a commodity we purchase in a store; it’s the by-product of our lifestyle and the way we think about ourselves, despite external circumstances. Life is a series of choices; each day we make decisions that can bring us closer to being happy or sad. Happiness is not centered around our emotions; happiness is centered on the human will. We are happy because we either choose to be happy or we choose not to be happy. 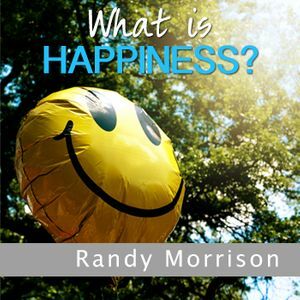 In this message series, Pastor Randy Morrison talks about what happiness is and how to live happy--even though your may be going through storms in life.